House Speaker Nancy Pelosi tells Politico another shutdown over Trump’s border wall demand ‘isn’t going to happen’. The top US Democrat vowed on Wednesday that there will not be another government shutdown over President Donald Trump‘s border wall funding demand. 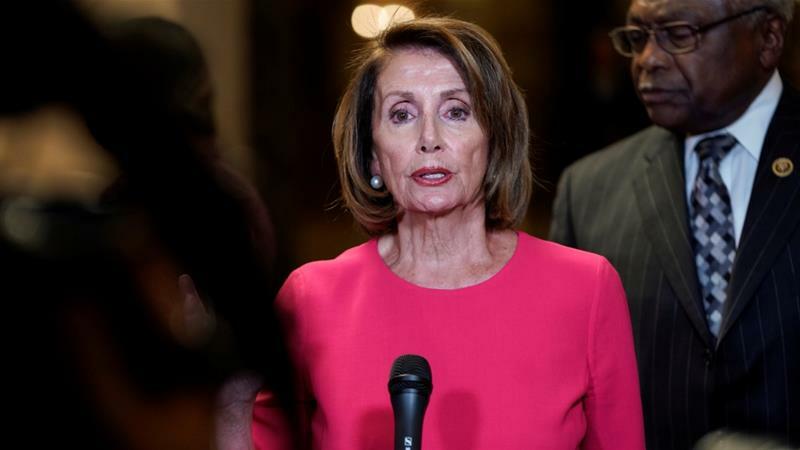 In an interview with Politico, Pelosi said that she believes the bipartisan committee of politicians that is negotiating border security will come to an agreement before a February 15 deadline to avoid another closure. She said that she does not believe Republicans want to go down the same route and allow for another shutdown. Her comments come despite Trump’s repeated vow to build a wall during his State of the Union address on Tuesday. He has so far not made good on his threats to declare a national emergency to circumvent Congress and obtain funding for the wall. Doing so would likely lead to an immediate court challenge. The 35-day government shutdown – the longest of its kind in US history – ended last month after Democrats and Republicans reached a temporary spending deal without wall funding. Since then, Trump has said negotiations between Republicans and Democrats are a “waste of time” if any resulting deal does not include funding for the border wall, an issue Democrats say is a “non-starter”. Also on Wednesday, Pelosi told reporters that she would support any deal that comes from this ongoing negotiations. “If left to their own devices, if they have a bipartisan agreement, I will support it,” she said, adding that she believes politicians could have an agreement by Friday. But the New York Times quoted Republican Congresswoman Kay Granger as saying no deal would be announced by Friday, but an agreement was “absolutely” possible next week. Trump is demanding that $5.7bn be added to any spending bill for a wall on the US-Mexico border. Democrats, who support other border security measures, say the wall is immoral, inexpensive and inefficient. Failure for negotiators to come to an agreement by February 15 could result in another government shutdown. According to the Reuters news agency, politicians have indicated that it may be possible to pass another short-term spending bill to keep the government open while talks continue. The Trump Economy Is About To Surge – Are We Setting Ourselves Up For A Big Crash In The Future?